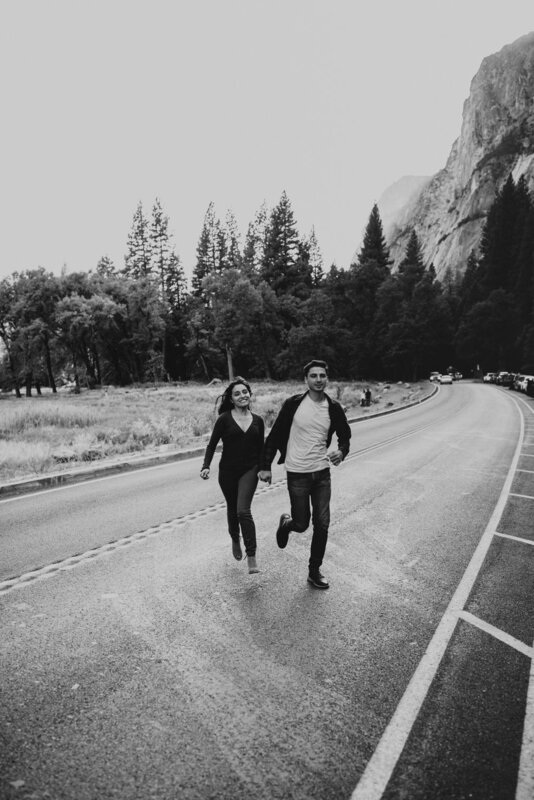 The very first thing I envision when imagining an epic engagement session is Yosemite National Park. But, having the opportunity to shoot Kenia and Arthur’s love story here was beyond even my wildest dreams. At one point, she began crying, overwhelmed with the joy of being his bride. 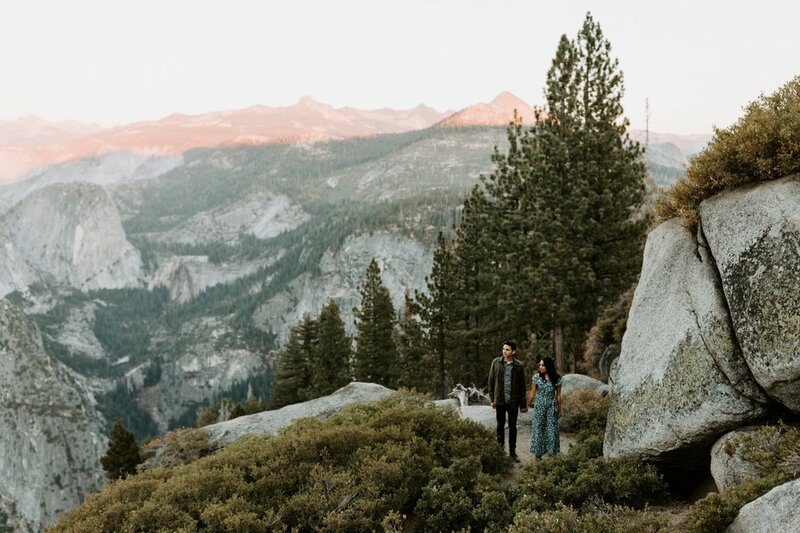 This place, with its famous peaks and hidden meadows, it’s pine trees and stunning sunsets, showed off for the happy couple who had never been until now. Being a part of these moments within the spaces of my favorite spots was so special. Seeing the way they spend time together gave me beautiful memories to add to the many I’ve been making here since childhood. The way he held her and how she smiles around him were just as captivating as the surrounding views. Their love is as everlasting, as natural, as protected and as sought after as Yosemite itself is. Everyone wants to experience what these two have found in each other. I know I was honored to be a part of it, to stand overlooking a connection as bold and as breathtaking as the pastel light shining over Half Dome behind them, as gentle as the untamed grass they laid on. As life-giving as the evergreens around us. 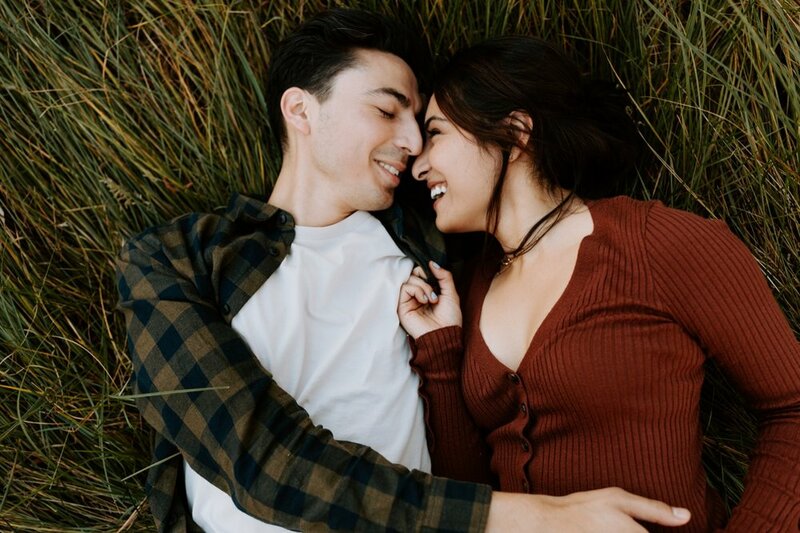 Kenia & Arthur’s engagement session was a part of my National Park Series! Click here to find out what it’s all about and book your next session in one of the remaining parks!